Our story like many others, can be summarized in a few words: work, passion and love ... much love for what one does. Several years ago a group of young people started an ambitious project in search of a different product, high quality, designed to meet the most demanding palates. Sheltered by those ideas, the project became a success, and today, those who carry it forward, still share the goal of providing the best. Now one of them, with the same spirit and the same passion, embarks on a new challenge. FINCA 8, a family business that was founded with a simple, yet transcendent desire. The transmitted from generation to generation, from father to son, these passions so characteristic of man. The love of dreams, the desire to share the fruits, pride in the achievements, the effort to overcome the obstacles and the constant search for new horizons. To explain I find no better ally better excuse than this wine. 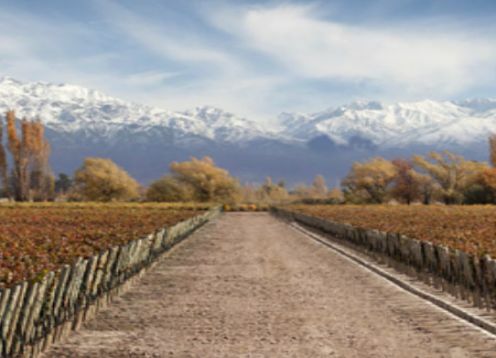 With all its history, yet its future, with all that it represents for us the spirit of Malbec.